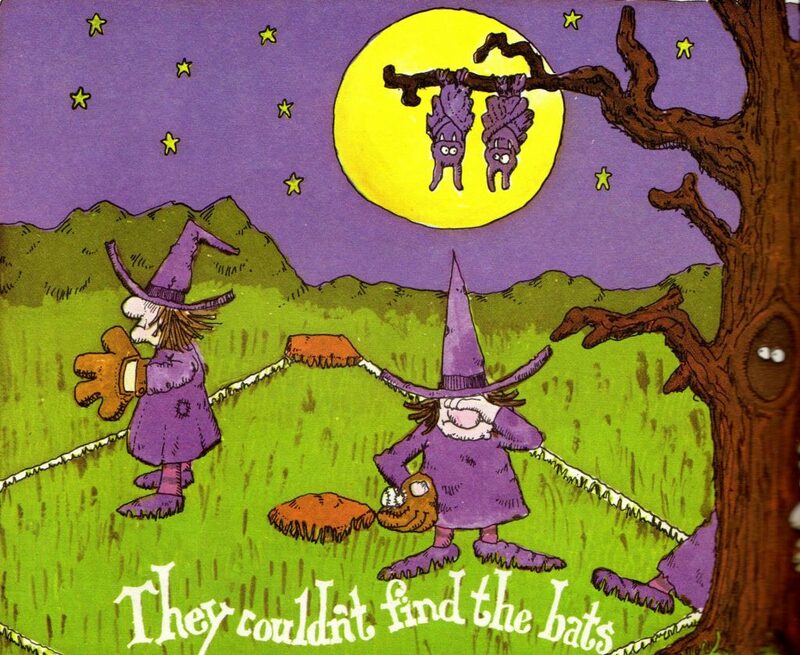 One of the largest of monster themed picture books is the joke and riddle compilation. Unfortunately, many books in this subgenre have faded from the collective consciousness due to their repetitive nature and unremarkable illustrations. But there are exceptions. 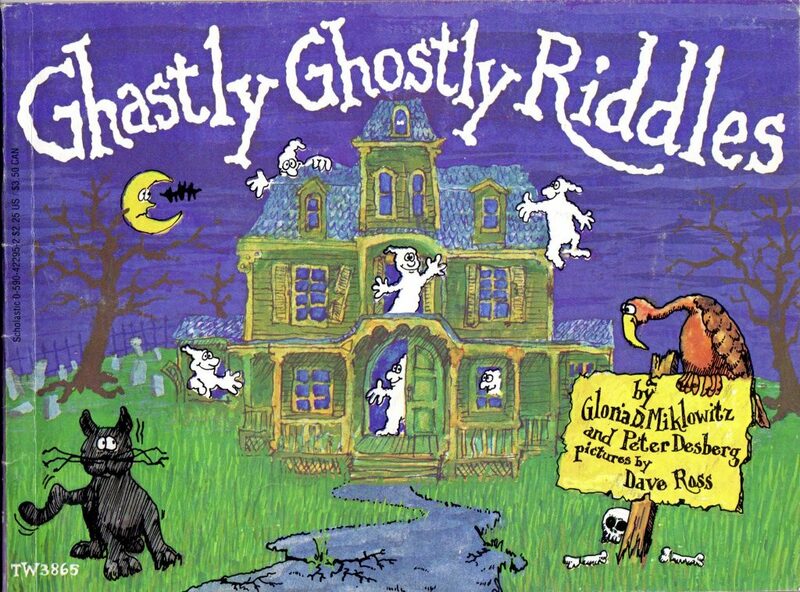 In this edition of FRIGHTS FOR TYKES, I will be recommending GHASTLY GHOSTLY RIDDLES written by Gloria D. Miklowitz and Peter Desberg, illustrated by Dave Ross and published by SCHOLASTIC PAPERBACKS in 1977. GHASTLY GHOSTLY RIDDLES has managed the nearly impossible: to stay (moderately) relevant. Much of this can be chalked up to the originality of many of its riddles and its highly colourful and recognizable illustrations. I came across GHASTLY GHOSTLY RIDDLES years ago when I first started collecting and researching children’s books. I was keen to acquire this slim and goofy collection of monster mirth. Still, I wasn’t about to buy it online. I knew someday I’d find it out in the wild. And I did. Last week I found this much beloved book in a stack of vintage paperbacks at BARTERTOWN COLLECTIBLES – the most unique (and punk) collectible shop in Rochester, NY. I bought it for $5, just under what it’s selling for on AMAZON, where ti goes for $5.09, used, in “Good” condition. GHASTLY GHOSTLY RIDDLES is a “boo-tiful” little book that won’t leave you screaming, but it WILL leave you chuckling. Check it out.